Ah, Tamagotchi, the most annoying game ever conceived that once took the world by storm. Other than the Sims, it’s the only other game that makes pooing look like fun. Tamagotchi sure had its day among the school-going set. Too bad it hasn’t transitioned beyond a specific age group; then again, it really fascinated the tween demographic during its apex a decade ago. It’s still big in Japan, which explains Bandai’s latest move. To celebrate its 15th anniversary, Bandai is outing the Tamagotchi iD L that has got a ton of neat features. Learn more after the jump. The iD L is actually closer to a game console than the Tamagotchi’s of old, which were wickedly 2D and quite funny. 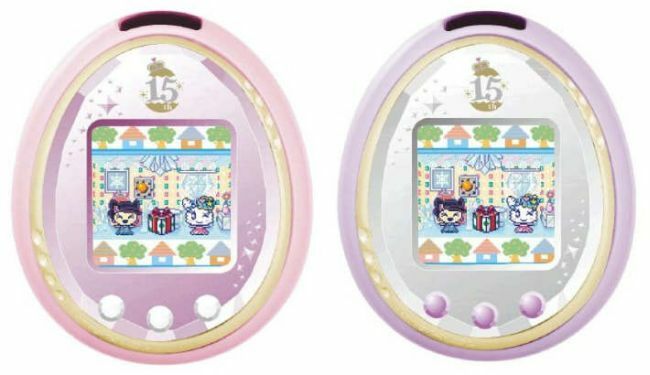 The Tomagotchi iD L has characters to choose from, comes in Technicolor, and has device connectivity, allowing different players to sync their ‘pets’ with each other. The Tamagotchi iD L is now selling for $113 plus shipping. Anyone susceptible to cute and cuddly have been warned—this might be too irresistible to avoid.